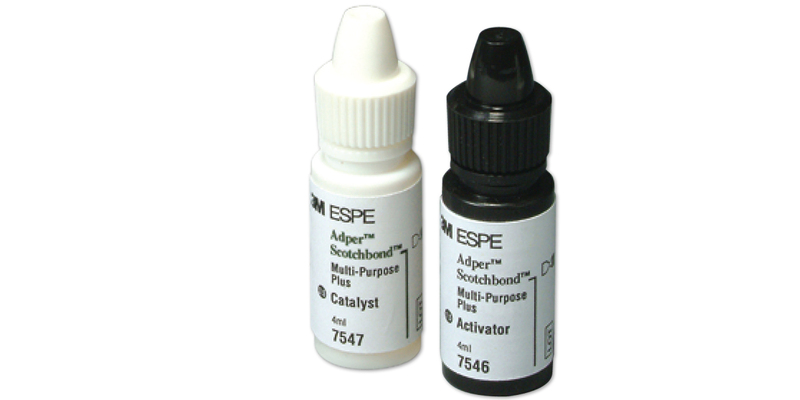 All-purpose bonding system bonds to enamel, dentin, composite, porcelain, and metal. The adhesive has light-cured and dual-cured options. Contains: 1 x 8ml vial adhesive, 1 x 8ml vial primer, 1 x 4ml vial activator, 1 x 4ml vial catalyst, 1 x 5ml vial RelyX ceramic primer, 2 x 3ml syringes phosphoric acid etchant, 3 color-coded brush handles, 60 brush tips, 3-well mixing well, 25 etchant applicator tips.